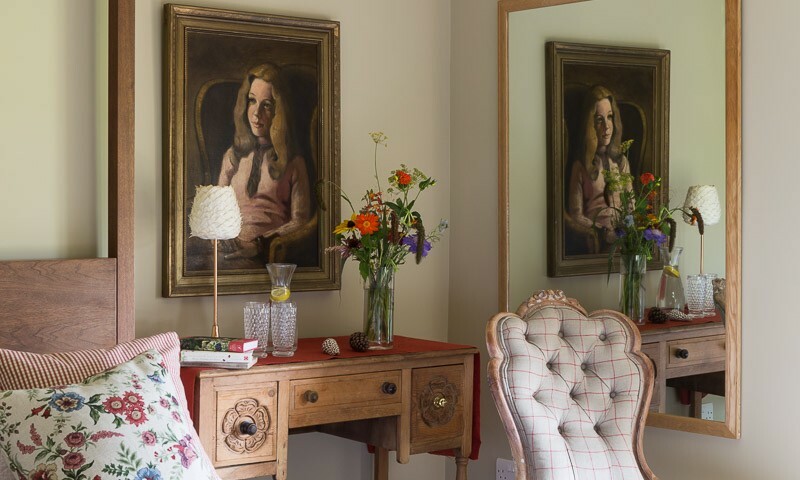 The beautiful natural surroundings of the Wye Valley are reflected in the interior of the house. 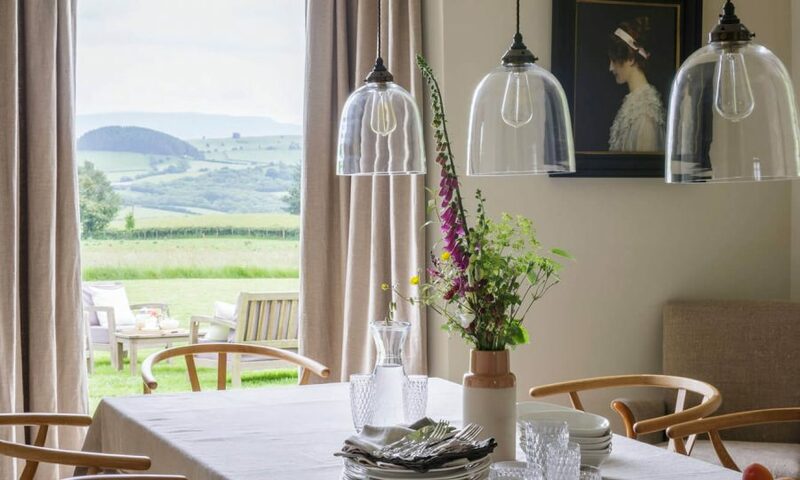 Farrow and Ball muted tones, natural linen and wool upholstery run through each room to give a modern farmhouse feel. The oak and stone floors throughout the ground floor all have underfloor heating, making it exceptionally cosy in winter. You enter the house via the back door into the boot room which then leads into kitchen. 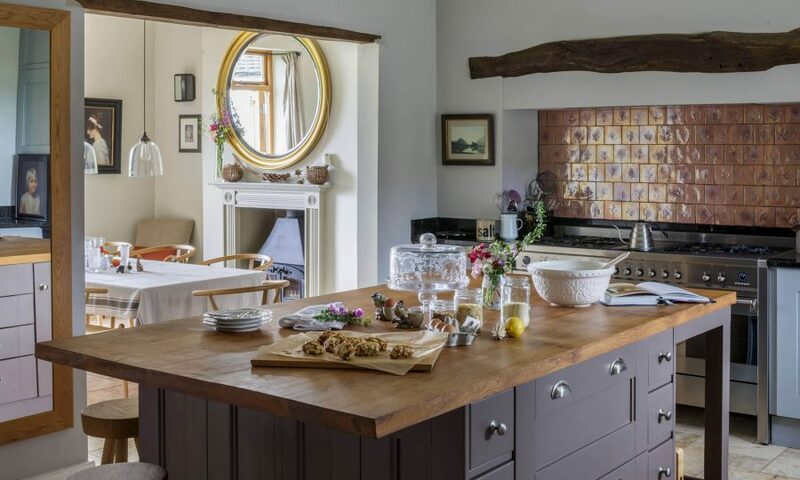 The kitchen is really rather special with a wonderful large island where you can prepare meals whilst gazing at the Black Mountains. Use the stainless steel SMEG eight gas burner with two electric ovens to prepare anything from a simple supper to a special occasion dinner. The kitchen is well-equipped with a large fridge freezer, walk-in larder, wine cooler, cuisinart food processor, Kenwood microwave, Nutri Bullet, Dualit coffee machine and milk frother. 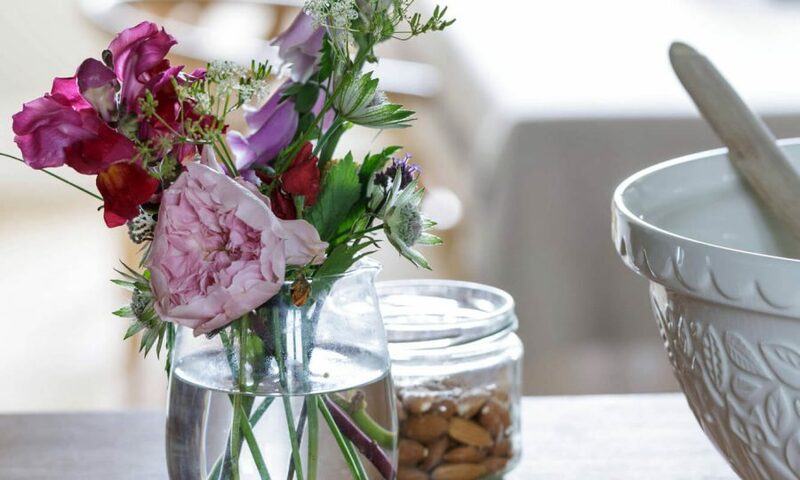 We have our own Red Kite spring water available from every tap in the house so you will be drinking and bathing in delicious pure spring water direct from its source throughout your stay. There is a utility room just off the kitchen with a washing machine and tumble dryer. The dining room leads off from the kitchen with a large modern oak dining table and Danish style dining chairs. The room has stunning views of the Black Mountains through the tall double doors which can be opened out into the three acre garden. The room has a woodburner for cosy nights eating supper. The heart of this room is the huge inglenook fire opening with woodburner waiting invitingly for fireside chats. There is comfortable danish sofa upholstered in 100% wool and linen upholstered chairs along with lots of textures and details in the room to give you a beautiful room for the day and evening. There are 4 beautiful and spacious bedrooms sleeping 8 adults. Each bedroom has its own luxurious bathroom, 3 en-suite and one with its own adjacent shower room. All the beds are dressed with 100% Egyptian cotton bedding, goose down and feather duvets and pillows. Three bedrooms are on the first floor and one on the ground floor. The centrepiece of this room is the modern walnut four poster kingsize bed. Linen upholstered chairs by the window make a perfect place to gaze out at the stunning views. The good-sized en-suite bathroom has a stone tiled floor with underfloor heating, stone tiled walls, large sink and shower and enjoys views of the mountains. This has a modern black four poster kingsize bed. The large en-suite bathroom has stone tiled walls and floor with underfloor heating. It has a large walk-in shower and a roll-top bath. The view is of the barns and the common land. 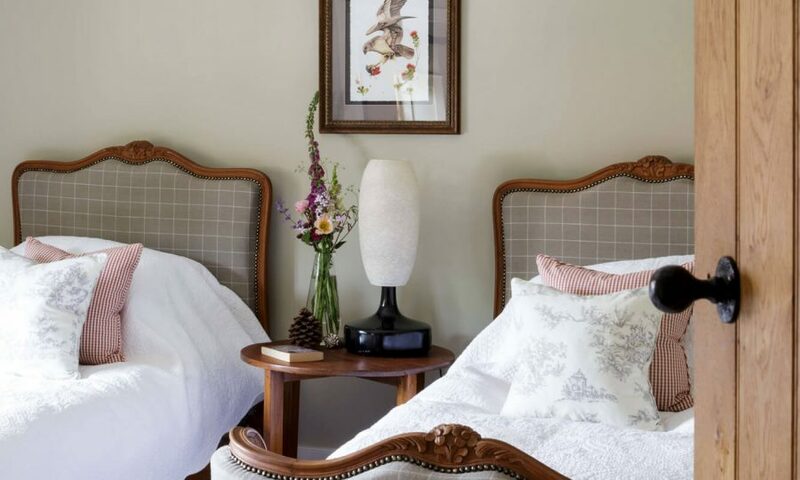 This room has antique french walnut twin beds upholstered in 100% natural linen and has views of the barns and the common land. The large en-suite bathroom has a marble floor with underfloor heating and a large wash basin and walk-in shower. This spacious room is situated on the ground floor with large french doors leading into the garden with stunning views of the Black Mountains. It has a kingsize oak four poster bed, a beautiful vaulted ceiling and two exposed stone walls. The shower room is just outside the bedroom. There are three and a half acres of undulating lawn. Enjoy breakfast on the lawn and be mesmerised by the views of the Black Mountains. Relax all day on the comfortable outdoor sofa’s. At night take a blanket and night cap and lie gazing up at the starlit sky. The lack of light pollution makes the night sky exceptionally beautiful. There are a further four acres through a wooden gate with a stream, ancient Hawthorne trees and sheep. There is also an acre of woodland with the most beautiful birdsong, a walk through the woods leads to a gate which leads into a six acre field which then takes you up to the hills. There are thousands of acres of common land where wild ponies and sheep are free to roam. The views at the top are 360 degrees, it truly is an idyllic setting. There is a large parking area at the back of the house.